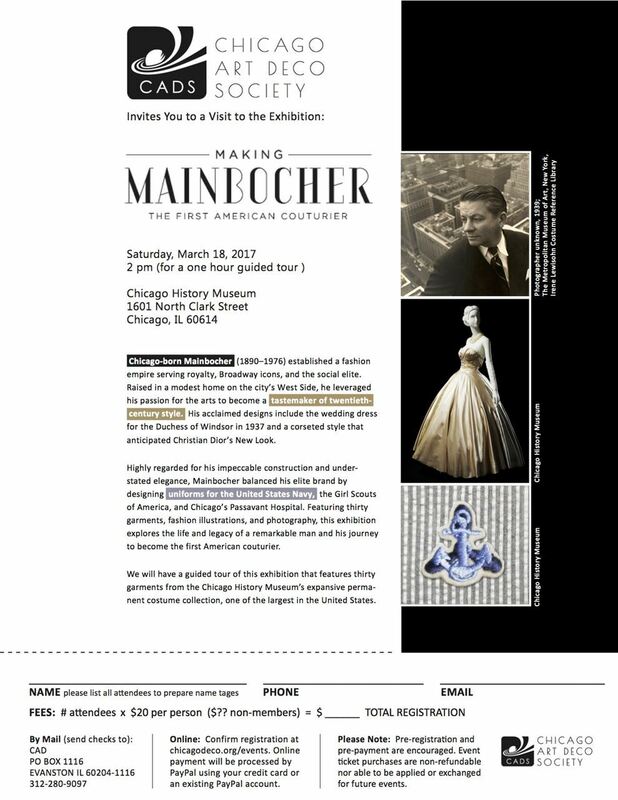 Highly regarded for his impeccable construction and under-stated elegance, Mainbocher balanced his elite brand by designing uniforms for the United States Navy, the Girl Scouts of America, and Chicago’s Passavant Hospital. Featuring thirty garments, fashion illustrations, and photography, this exhibition explores the life and legacy of a remarkable man and his journey to become the first American couturier. We will have a guided tour of this exhibition that features thirty garments from the Chicago History Museum’s expansive permanent costume collection, one of the largest in the United States.